The 5th edition of the Bahrain Shopping Festival – ‘Shop Bahrain’- continues to host a variety of activities and events until 2 February 2019. 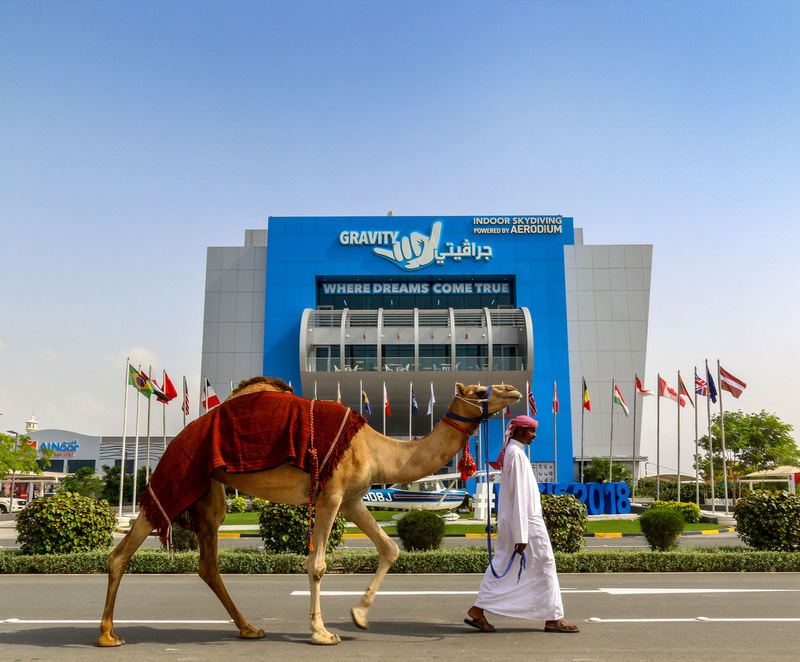 Gravity, the first and only indoor skydiving simulator in Bahrain, and one of the largest skydiving tunnels in the world, has announced joining the largest shopping and entertainment event in the Kingdom, “Shop Bahrain”, as a prize partner. Gravity’s partnership entails granting four points to shoppers in the Festival’s loyalty system for each BD1 they spend, which will directly entitle them to enter the weekly raffle draw and win prizes including 11 cars and free tickets for an exceptional skydiving experience. Also, shoppers who spend BD50 will also get the chance to win instant prizes that include discounted tickets from Gravity upon redeeming points during the course of the Festival. Gravity will also receive visitors at the Festival City, who will exclusively avail special offers on skydiving tickets to discover this fascinating sport. Children can also experience the thrill as Gravity has set up a mini skydiving tunnel, providing a unique experience to visitors. Moreover, it will also offer an opportunity for those interested in indoor skydiving to apply to work as skydiving instructors at the center in Bahrain. Gravity boasts one of the tallest air tunnels in the world. The Center at Zallaq employs a team of skilled and qualified instructors specialized in indoor skydiving, a sport that has gained popularity throughout the world and maintains a huge base of professionals and fans. “We are delighted to join “Shop Bahrain” as one of the prize partners, this nationwide festival continues to attract many local residents and visitors from neighboring countries, and it gives us great pleasure to be participating in “Festival City”, said Mariam Fat’hi, Marketing Director at “Gravity”. “I would like to extend my thanks to the organizers, and commend their efforts on presenting this wonderful Festival at its best every year. We always look forward to participating in prominent national events that aim to strengthen the Kingdom’s position as an ideal tourist destination, and further support the local economy,” she added. The Festival City, Shop Bahrain’s main event, is located at the Bahrain International Circuit in Sakhir, the Festival City Partner. The event includes a number of family-oriented activities including a wide range of exciting activities, live performances and carnival games and an outdoor market and cinema. It also features a daily lineup of live musical local bands for visitors to enjoy. Shop Bahrain mirrors the Kingdom’s position as an accessible family destination, renowned for its close proximity to the Gulf countries with easy access through the King Fahad Causeway and the Bahrain International Airport. Shoppers can enter the Festival’s loyalty system when spending at participating malls and hotels in order to win from a wide range of prizes. Shoppers and visitors can learn more about “Shop Bahrain” through the website: www.shopbahrain.com or through the account @shopbahrain on the social networking channels Facebook, Twitter, Instagram, YouTube, Snapchat and WhatsApp. Most recent updates and news about the Festival are also available on Shop Bahrain’s application on iOS and Android systems.